As urgency grows around the need for stronger climate action, so does demand for a deeper understanding of how the planet is already changing — and what to expect in the coming decades. From the world's melting ice sheets to its warming oceans, scientists are diligently investigating the finer details of the climate system and the consequences of global warming. 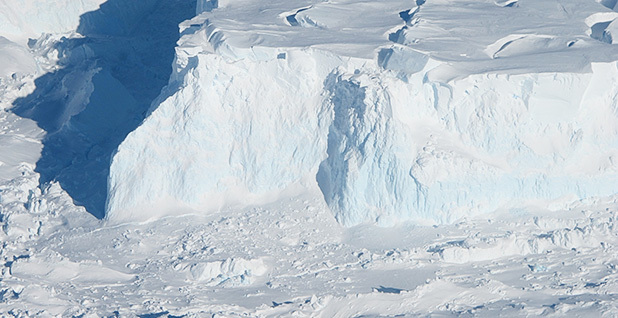 Climate scientists have published study after groundbreaking study in the past year. They've investigated the ways climate change has influenced extreme weather events, including everything from Hurricane Florence to record-breaking heat in Europe. They've documented accelerating ice loss in Greenland, new melting spots in Antarctica and alarming losses of Arctic sea ice. They've investigated changes in enormous ocean currents and major atmospheric patterns. Otto, acting director of the Environmental Change Institute at the University of Oxford, is one of the world's key figures in the world of extreme event attribution — the science of determining the influence of climate change on individual weather events, like hurricanes or heat waves. 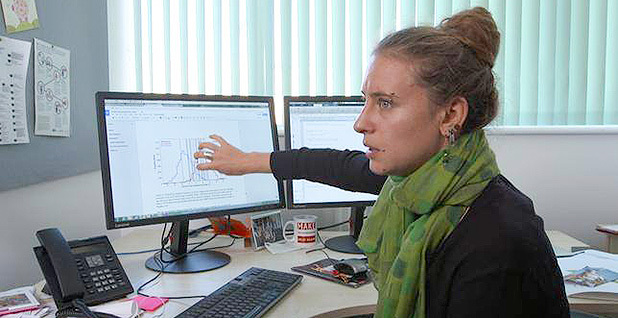 The Environmental Change Institute has developed a special methodology for these investigations, involving ensembles of climate models. They've been used in numerous attribution studies. The team is a major partner with the research group World Weather Attribution, which has dedicated itself to investigating the influence of climate change on extreme weather events. Extreme event attribution has been a rapidly growing field since the first attribution studies were published 15 years ago. Recently, scientists have been able to link a wide variety of weather events to climate change, including the devastating Hurricanes Harvey, Maria and Irma. They've also connected extreme heat, floods, droughts and other events around the world to rising temperatures. Now, Otto and her collaborators are taking the field a step further. They're making attribution studies faster and easier to conduct. Eventually, their work could help establish rapid attribution services that provide quick assessments of extreme weather events and their links to climate change, similar to the way weather services provide forecasts. The team has already published several of the fastest attribution studies, in partnership with World Weather Attribution. They include a rapid assessment of last summer's European heat wave — an event they found was more than twice as likely to have occurred under the influence of climate change. In 2019, expect more advancements in a field that's already one of the fastest growing and most publicly engaging spheres of climate science. Earlier in 2018, the U.S. National Science Foundation and the United Kingdom's Natural Environment Research Council launched one of the most ambitious Antarctic research projects yet — a joint mission focused on West Antarctica's enormous Thwaites Glacier. 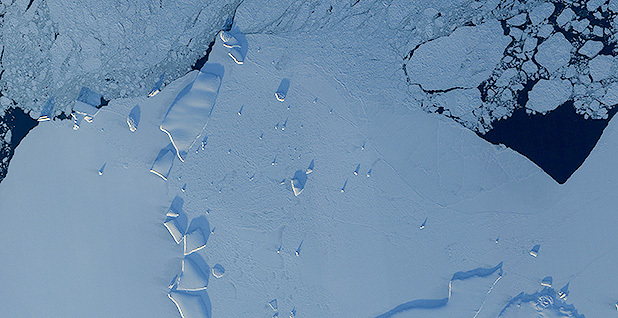 Thwaites is about the size of Florida and is currently losing 50 billion tons of ice each year, prompting major concerns about its potential to destabilize and collapse in the coming decades. If that happened, it could contribute to significant sea-level rise around the world. The joint mission is intended to investigate some of the processes affecting Thwaites Glacier, including mapping out the bedrock beneath the ice and measuring the interactions between the ice and the ocean, which is thought to be melting the glacier from the bottom up. The mission involves dozens of researchers from both science agencies, working on nine different scientific projects. The collaboration just launched in April 2018 and is set to continue through 2023. So expect updates from the mission starting this year. 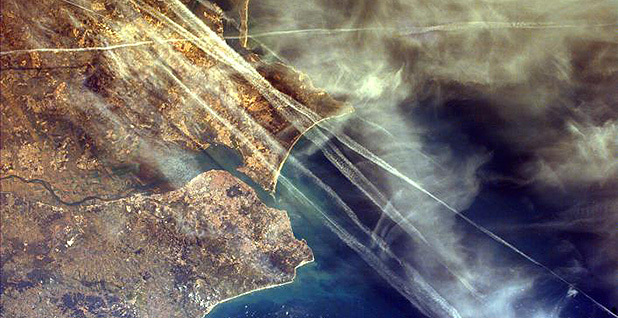 Amid concern about the Paris Agreement's rapidly approaching global climate targets, geoengineering is a growing area of focus. One widely discussed, but highly controversial, hypothetical proposal involves spraying reflective aerosols into the atmosphere to beam sunlight away and cool the planet. It's called solar radiation management, or solar geoengineering. For now, it's an idea that's been explored only in models. The potential side effects — including unintended impacts on the ozone layer or global weather patterns — remain highly uncertain. As a result, some scientists are interested in conducting real-life experiments that might help them better understand the way aerosols behave in the atmosphere. Among the most anticipated of these is SCoPEx, or the Stratospheric Controlled Perturbation Experiment, led by researchers at Harvard University. Frank Keutsch is a professor of engineering and atmospheric science, David Keith is a professor of applied physics, and James Anderson is a professor of atmospheric chemistry. Their project is likely to be the first of its kind. The researchers are designing a series of small-scale experiments, using a high-altitude balloon to release aerosols — likely beginning with water, and potentially other substances later — to observe how they behave high up in the atmosphere. The experiments will operate on a very small scale and pose none of the risks some experts worry about when it comes to large-scale solar geoengineering, according to the researchers. Still, the planned experiments have sparked conversations about how solar geoengineering should be designed and managed in the future. One question is how projects would be regulated by the international community. The SCoPEx experiments are still in the design phase but could launch in 2019. In recent years, some scientists have begun to raise an intriguing idea about the rapidly warming Arctic — it may be influencing weather patterns elsewhere around the world. The theory broadly suggests that as the Arctic warms twice as fast as the rest of Earth, it's changing the temperature gradient between the high latitudes and the equator. This may alter the flow of air around the world, affecting major air currents like the jet stream, which help regulate weather patterns in the U.S., Europe and elsewhere. Some experts have suggested that the warming Arctic may be responsible for an increase in major snowstorms in the U.S. or extreme cold winters in Siberia. Yet the idea remains heavily debated among climate scientists. While observations suggest there may be a relationship between Arctic warming and weather in the midlatitudes, modeling studies have often failed to produce a connection. That's raised doubt about whether the Arctic is actually causing these observed weather patterns or whether they're coincidental — or perhaps shaped by some other force. On the other hand, there could be flaws in the models themselves, some experts suggest. To help unravel the mystery, international scientists are now teaming up to conduct a series of carefully structured modeling experiments, designed to determine if there is, in fact, a link between Arctic warming and midlatitude weather — and, if so, why previous modeling studies have failed to capture it. As the Arctic continues to rapidly warm, another international team of researchers is preparing a major expedition to observe dramatic declines in Arctic sea ice. 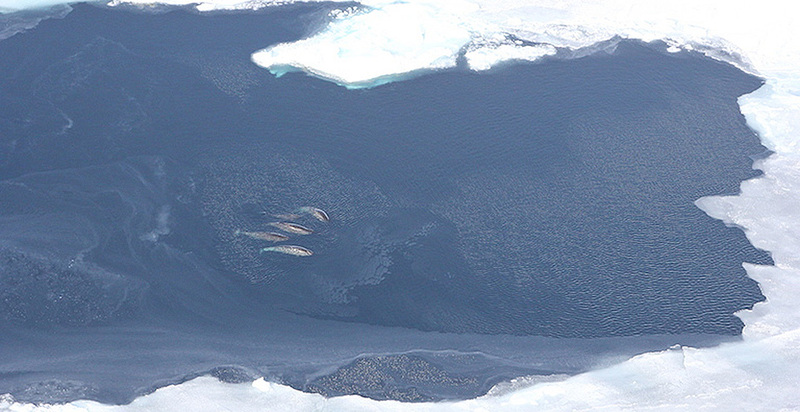 The MOSAiC project, or the Multidisciplinary Drifting Observatory for the Study of Arctic Climate, is a collaboration among multiple international polar research institutions, including the Alfred Wegener Institute, Helmholtz Centre for Polar and Marine Research in Germany, Arctic and Antarctic Research Institute in Russia, and Cooperative Institute for Research in Environmental Sciences in Colorado. The mission bills itself as the first year-round climate expedition into the central Arctic. 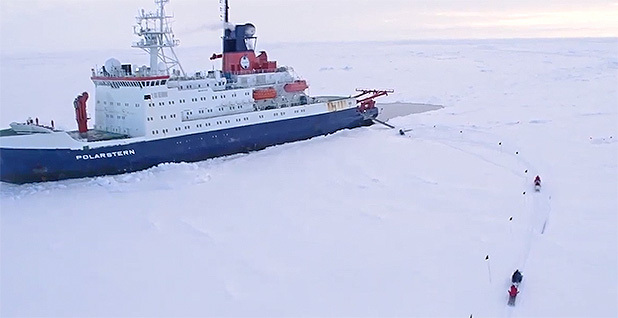 At the center of the mission is the German icebreaker Polarstern, which will depart this September and spend the next year drifting through the icy Arctic Ocean. This will allow scientists to make on-the-ice observations during the yearly cycle of Arctic sea ice. Hundreds of researchers from more than a dozen countries are set to participate in the project.